As you’ll see in more upcoming posts I’ve been practicing doing a more layered and textured look. 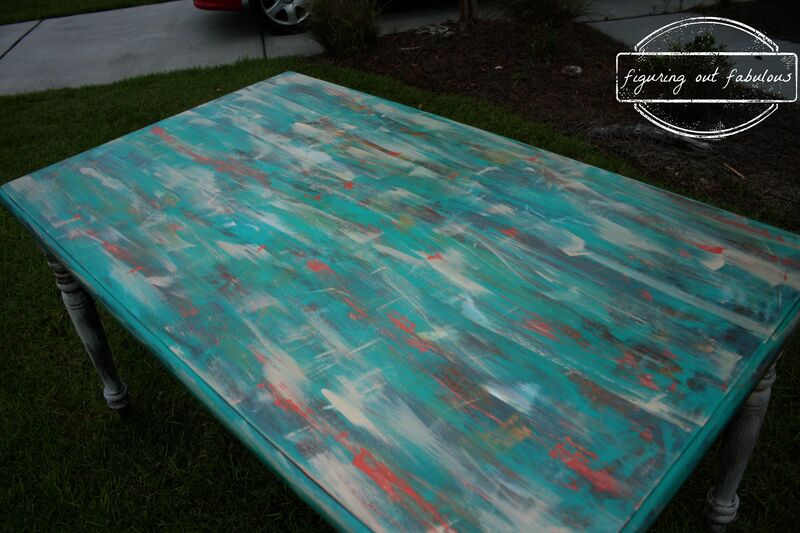 I definitely went a little crazy with this dining room table. 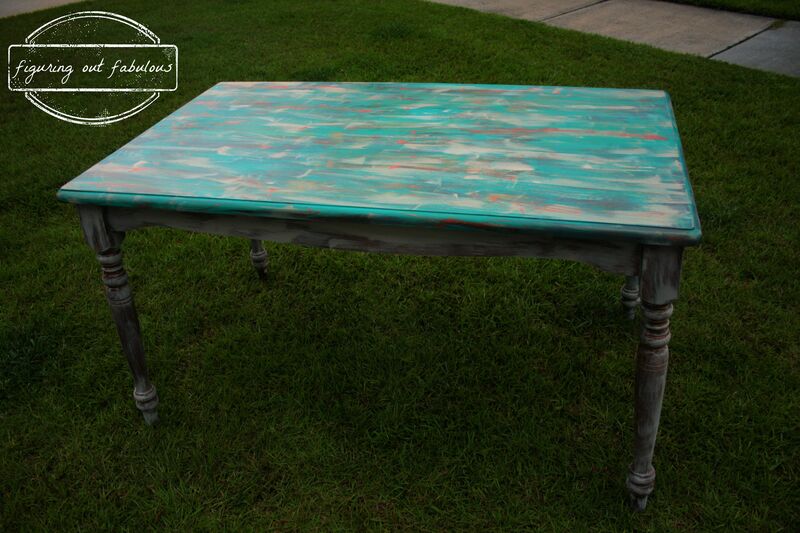 I planned to use this table for our house, but I’ll most likely wind up selling it. The colors turned out a little brighter than I had in mind, so it doesn’t match our decor. 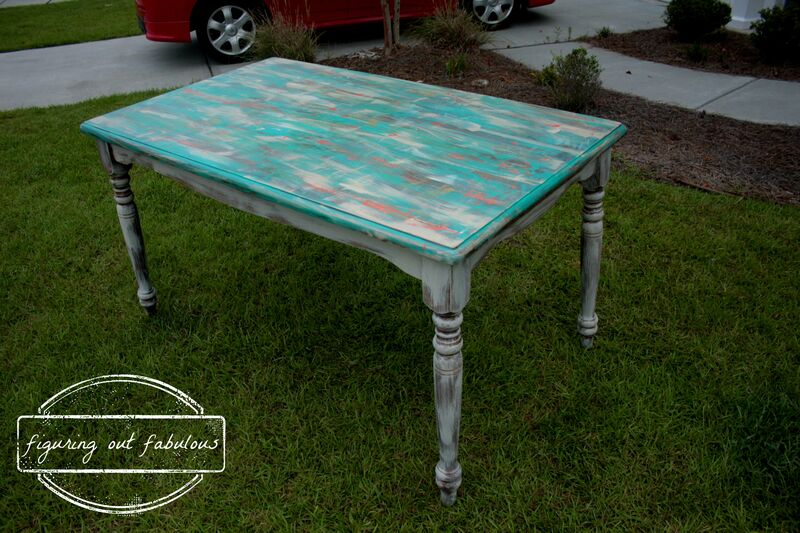 I would like to find another table like this and do a similar look with darker colors. It really is cool in person, though. It started with just plain brown stain and had some damage to the finish, and I tried to sand and re-stain it, but it just wasn’t working too well. 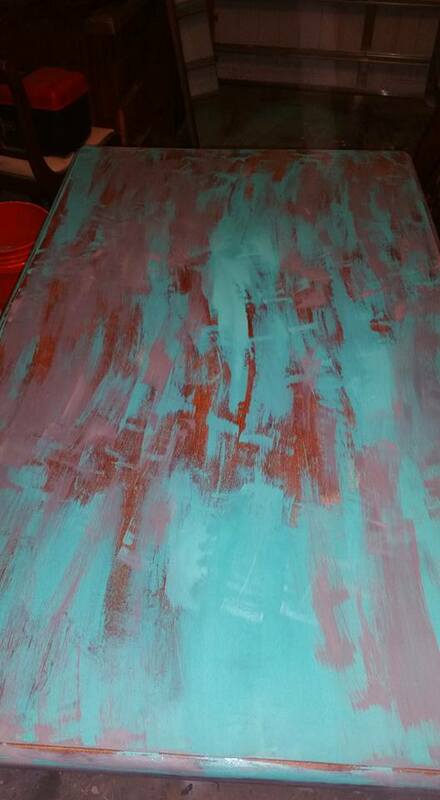 Sooo I layered on almost every paint that I own. (Well, we all know that’s a lie… I have a paint addiction. haha) I used each color once or twice with different textured brushes, and a dryer brush with each layer. After the paint, I went over it with a dark glaze that I made with stain and Penetrol. I dry brushed the legs with just white.